To celebrate the release of Disney’s live-action adaptation of Beauty and the Beast Latest in Beauty have curated The Beauty Box for women and The Beast Box for men which you can see HERE. 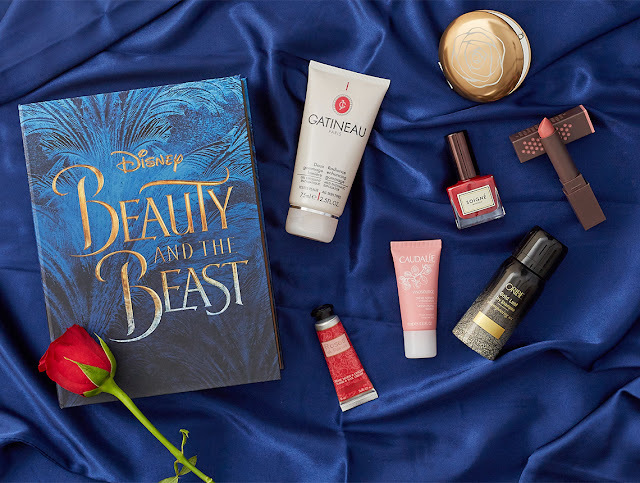 With a value of over £80, this box features some amazing brands such as Burt's Bees, L'Occitane, Oribe, Caudalie, Gatineau and Soinge this is such a beautiful box and as it is limited edition, you need to be grabbing it right now. 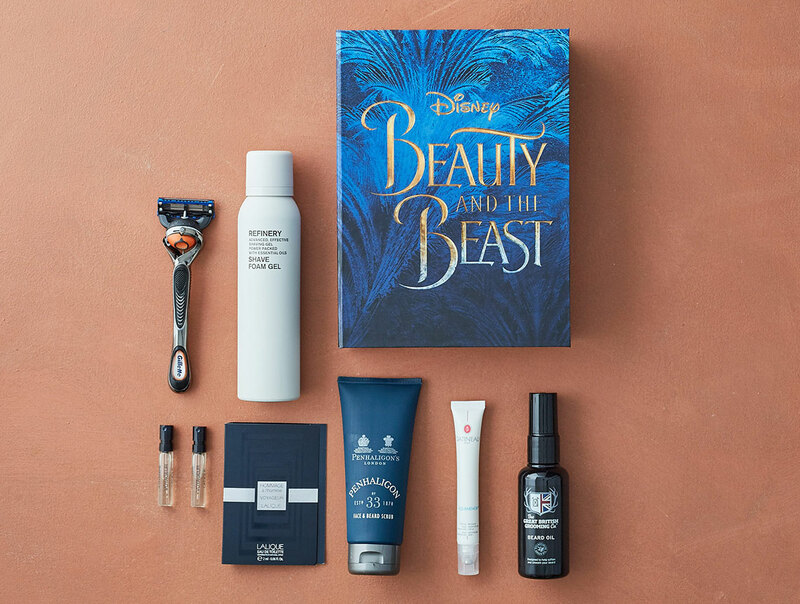 For him, the Beast Box which has a value of over £100 Latest in Beauty have curated this exclusive collection featuring a range of products from the best in male grooming. Brands you will see in this box include Penhaligons, Gatineau, Lalique, Refinery, The Great British Grooming Company and of course Gilette. Again retailing for just £20 you can find this box right here. What I absolutely do love about these boxes is that there is one for him and one for her, a rarity in the world of blogging to have something to share with your other half, especially when he is also a blogger and is forever annoyed there are no beauty boxes aimed at him - guess what Beautykinguk, there is now and here it is! I've literally just ordered mine! So glad I got in early as the website is really playing up now. Can't wait to try those Burts Bees lipsticks. Oh wow this is such an amazing box, the women's one has some incredible products included! This is such a cool box idea. I love beauty and the beast and cant wait to see the movie. Oh this looks soooooo good!!!!!! Ah such a good idea to have a men's one for once as well! It's cool that there is an option for men! I can't wait to see this film. The products in both of these boxes look great and the boxes themselves are just gorgeous! It's great that they have provided his and hers boxes for this promotion. The Burts Bee's Lipstick in the Women's box looks gorgeous! I don't know if my hubby would care a jot but oh my I would love this! Ha! The box is stunning - what a bargain too. This is such a cool idea, I absolutely LOVE the look of the box. Can't wait for the movie either! I love this idea! I've never seen anything like it. I can't wait to see the movie! Great idea, you can get a treat for your partner... and yourself! Is it bad that I just want the matching boxes!?!?! I love they they do a beauty box for guys. It's about time that guys got more stuff like this. Wow what a bargain, I love that it is themed to Beauty and The Beast too. I'm tempted! These look really good and are a bargain at that price. I can't wait to watch the movie. I love these so much, didn't know they existed, definitely perfect for disney fans! I love how there's a male and female version! Omg the Burts lippies. I swear to god I've been looking for them all over the show. I think they've all sold out near me! I was just looking at this the other day! what a beautiful box! Love the packaging on this box! The products look fab too.